Halo believes that the recent CMA report into the cost of motor insurance has missed a golden opportunity to introduce more sophisticated and beneficial competition into the accident repair supply market. 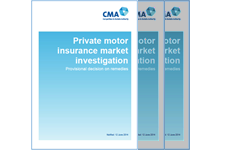 “By conducting a poorly structured study of the quality of repairs in the marketplace, and subsequently deciding to avoid this whole issue, the CMA has missed the chance to encourage insurers to fundamentally restructure their relationships with repairers. The cost of a repair is, quite rightly, a key factor for insurers but we know that consumers also value a broader range of service criteria and we had hoped that the CMA would examine wider issues of consumer benefit. In our submission to the CMA, we had argued that standardised repair costing would distort competition amongst suppliers and so we welcome the rejection of any artificial attempts at price control.